What is the difference between unbalanced and off balance? 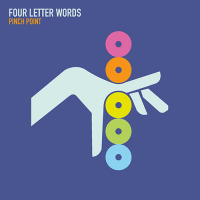 Very little, if you listen to Four Letter Words' Pinch Point, the trio's third release, after Blow (Amalgam, 2015) and Radio Silence (Amalgam, 2015). Unbalanced can mean both "disturbed" and "demented." Certainly the seven improvisations presented here can be a bit disturbing, meaning the music seeks no level nor stable meter. Let's not approach demented yet. 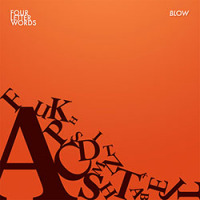 Part of the newest of new wave Chicago improvisers, Four Letter Words are saxophonist Jake Wark, pianist Matt Piet and drummer Bill Harris, who also runs the Amalgam label. A performance by the trio may be from composed materials, as on their first release, or performed wholly spontaneously. The disc opens with the minute-forty "Eighteen," which comes off as the Cecil Taylor trio falling down several flights of stairs. The sound is pure adrenaline marked by a whirling, unhinged feel. But then why not be audacious? "Five" thrashes the ears until it resolves itself into an off-kilter groove. Piet's piano sparks with a self-possessed fury throughout. The mode here is either start with mayhem before grabbing hold of rhythms and patterns that fit together, or open pieces ("Eight" and "Four") with minimalist sketches that birth song. Harris is game throughout, prodding and pushing the affair with his drum kit, and Wark's tenor saxophone calls to mind Joe McPhee circa 1976. The disc ends with "Six" a considerate, gentle, and beautiful ballad which arrives unexpectedly. It delivers a shock to the system, one which leaves you a bit off balance. Or is it unbalanced? Track Listing: Eighteen; Five; Seven; Eight; Three; Four; Six. Personnel: Jake Wark: tenor saxophone; Matt Piet” piano; Bill Harris: drums.